I have managed to get a list of items that use a specific template. I now want to add an Insert option to each of those items. I understand that I can edit the template Insert options and update the Items but this will remove some custom Insert options that have been added to items. I've looked at the examples here but there isn't one to do what I need to do - so perhaps it's not possible. 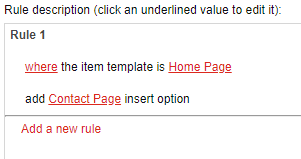 If you can't reset the items' insert options fields for whatever reason, you can always use the Insert rules to add or remove insert options with the rules engine. Note: the best approach for managing insert options is almost always to use the Insert options (__Masters) field on the __Standard values item of the templates. 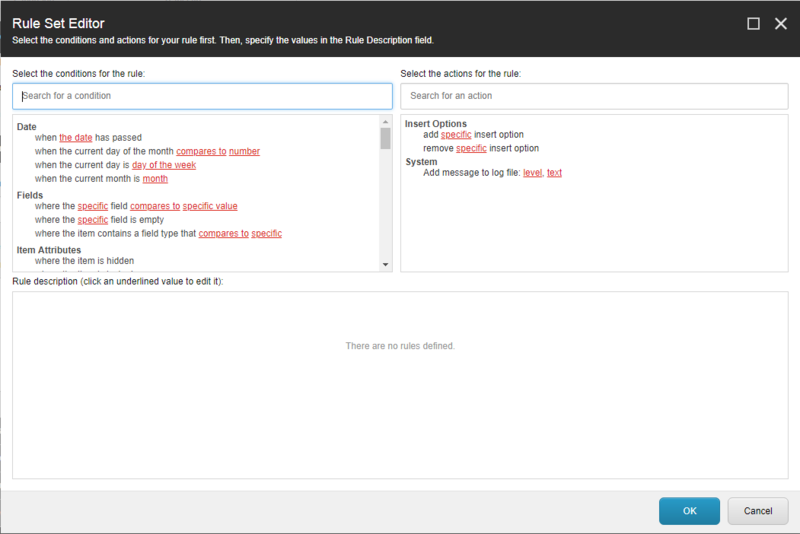 Adding or removing a large number of insert options in this way will affect performance of the Sitecore Content Editor. $items = Get-Item -Path master: -Query "/sitecore/content/Home/MyItems/* @@templatename ='My Template']"
How to create Sitecore Context Item to copy Item Path using SPE? PowerShell Extensions reports: Is it possible to pass / choose parameters? Sitecore Powershell: Is it possible to prompt user for their password?